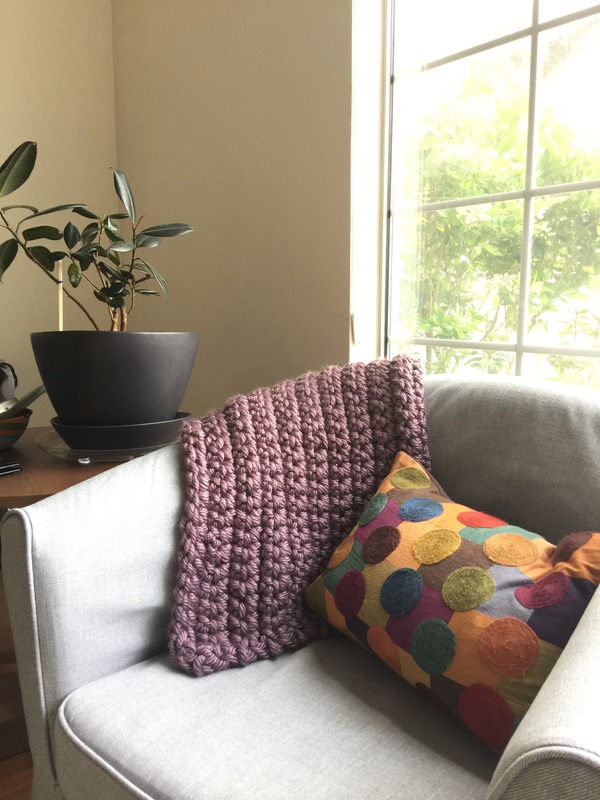 I’ve learned to crochet in the past, but I always forget how to do it. Also, I don’t have that much patience. 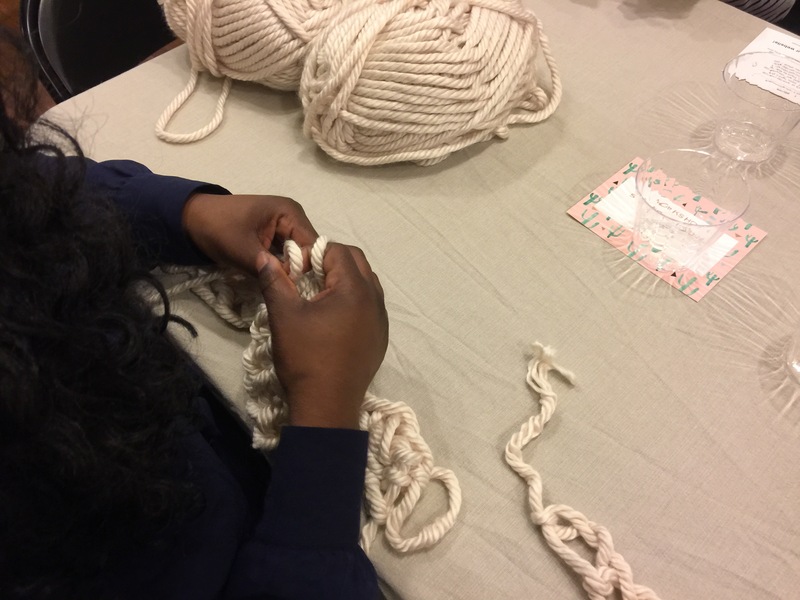 So when I saw that gather was holding a finger crochet class my attention span was all “can do, baby boo.” Finger crochet, especially if you use chunky yarn, is way faster than using traditional crochet tools, and less stressful on my hands. 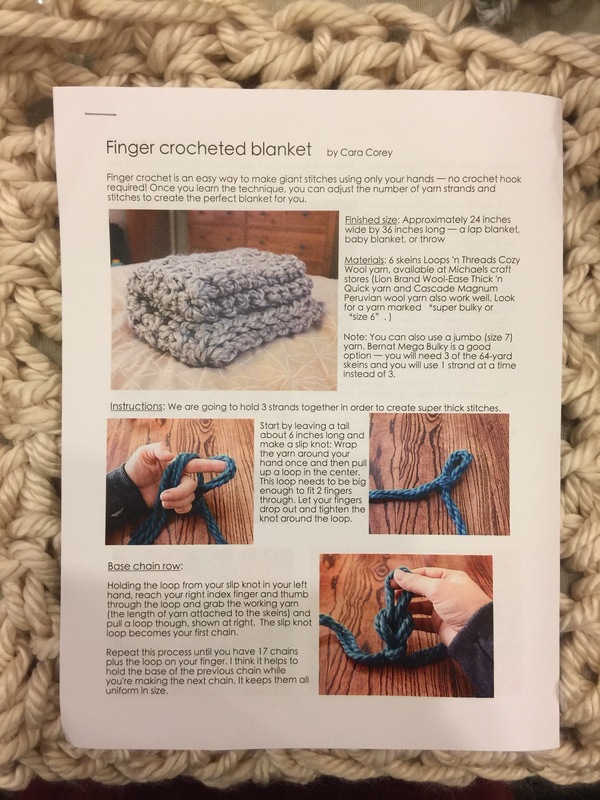 Class was taught by the awesome Cara Corey of Mary Marie Knits, and it came with an instruction guide plus access to her online tutorial so we can review and practice later on. 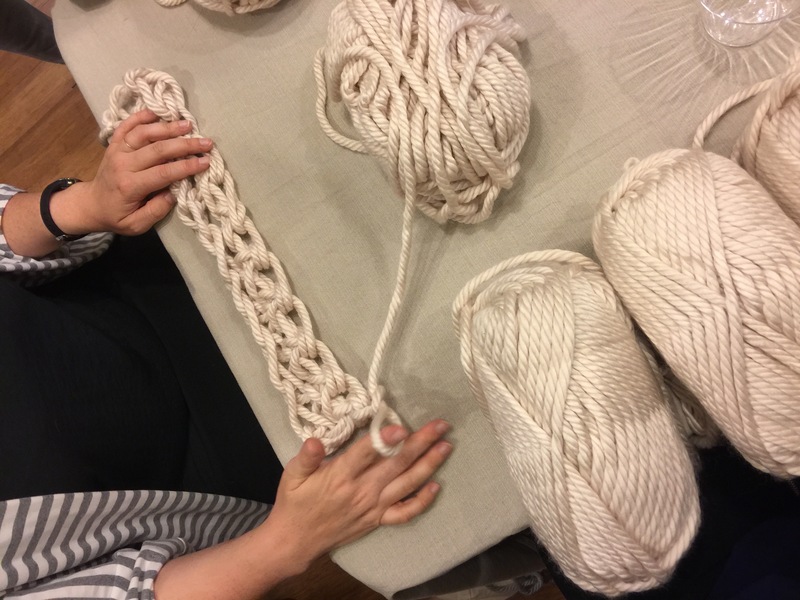 The goal: begin making a lap blanket out of mega bulky yarn. 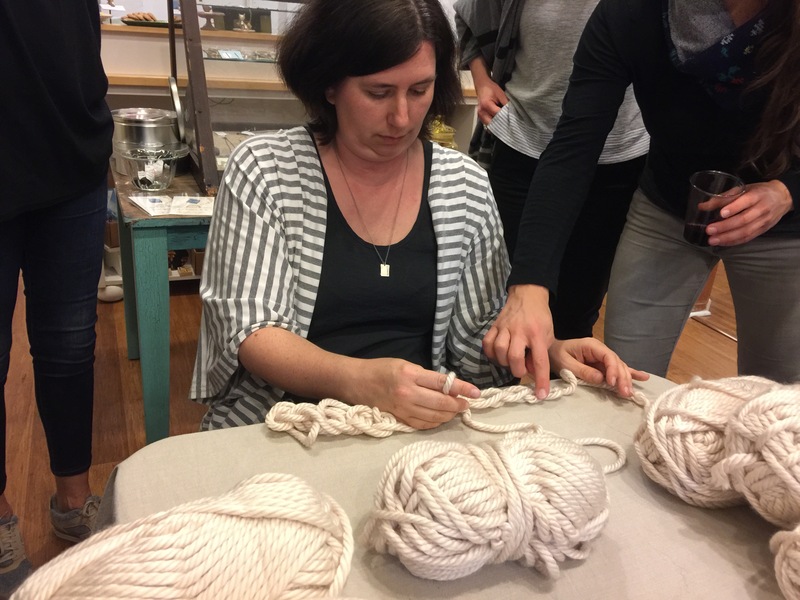 Cara first demoed how to make a chain and then showed us how to stitch the first few rows of the blanket. 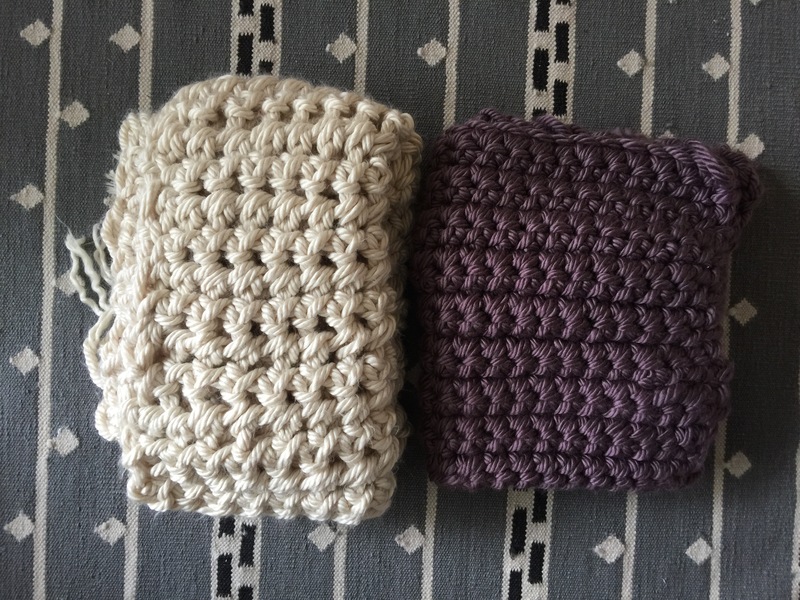 We learned the “basic” stitch for this project. 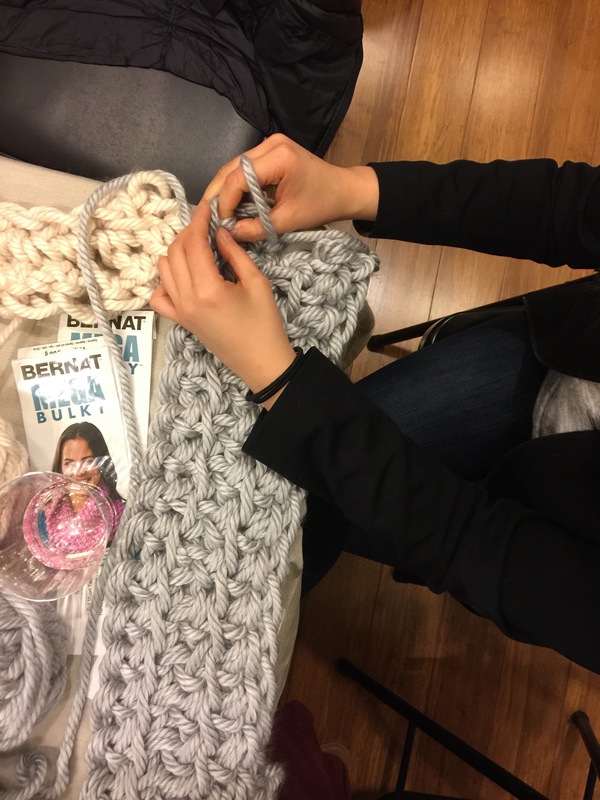 Cara shared some tips for how to count the stitches and how to make sure we keep our blanket even on both sides. I spent a good amount of time watching my friends make theirs and wondering why mine was looking different. Midway through class I was getting the hang of it! I’m still unsure if I’m counting the stitches correctly, but I figured if it looks ok, it’s probably ok. I ended up finishing my project at home that evening, and then making another for my friend who couldn’t make the class. What do you think? 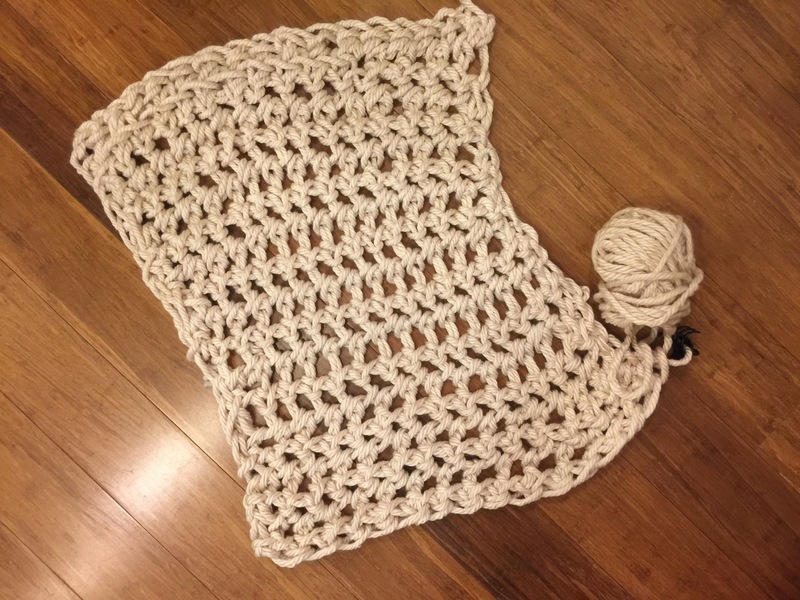 I’ll have to keep practicing so I don’t forget how to do it and then I can start learning some new stitches. I’m thinking bigger blankets, too, with different yarn and tighter stitches. Crochet much? Share below! 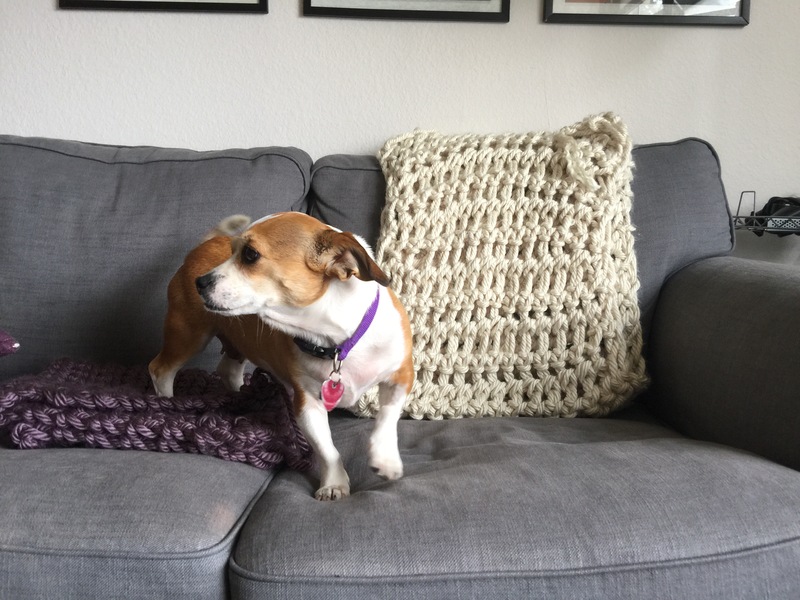 PS Shout out to my photo session helper, Pebbles! 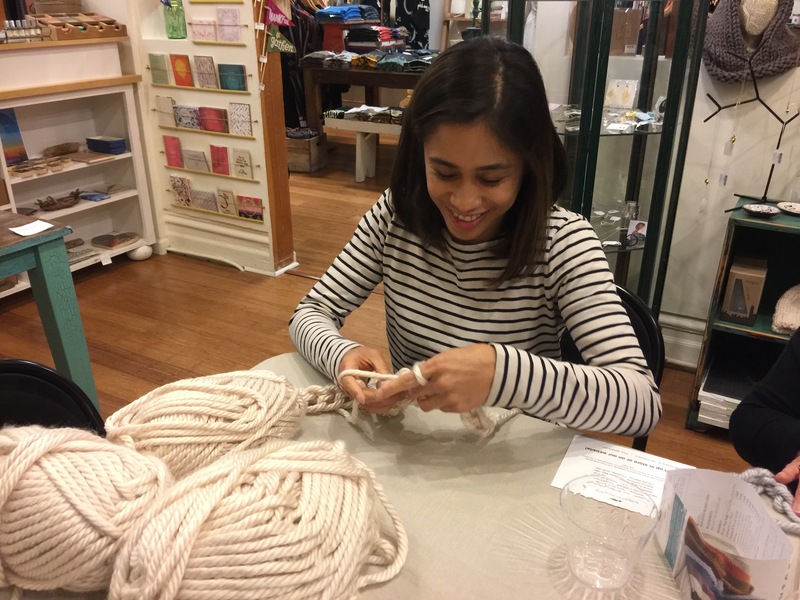 I’ve heard of knitting without needles but never crocheting without a hook! These look great and you definitely can’t tell it’s your first try at it. Bonus that they work up so quickly too! Next Postshop feature: tender loving empire.